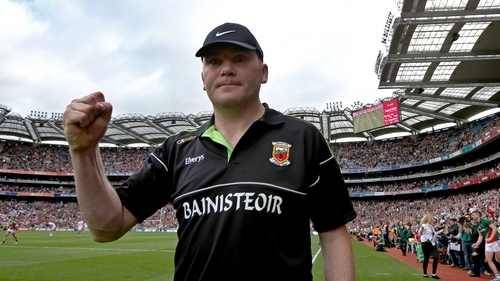 James Horan's return for a second stint as the Mayo football manager looks increasingly likely after Mike Solan withdrew from the race to succeed Stephen Rochford. Last week it was revealed that only Solan and Horan had been put forward to take the reins, but the former is no longer in contention. Ballaghaderreen man Solan, who managed Mayo to the 2016 All-Ireland Under-21 title, said: "Today, I have informed the Mayo County Board that I am withdrawing my name from the nomination process for the Mayo senior football team manager. "I would like to thank everyone who helped me in this process and I would like to wish the Mayo Senior team every success in 2019 and beyond." Mayo confirmed they are now set to meet Horan as he outlines his vision for the county in what would be his second spell in charge. He managed Mayo from 2010 to 2014, winning four Connacht titles and steering the Green and Red to two All-Ireland final appearances. "We would like to thank Mike for putting his name forward for the role and look forward to seeing him involved with Mayo GAA in the future," a statement read. "The officers of Mayo GAA will now meet with James Horan to discuss his management team and plans for 2019."